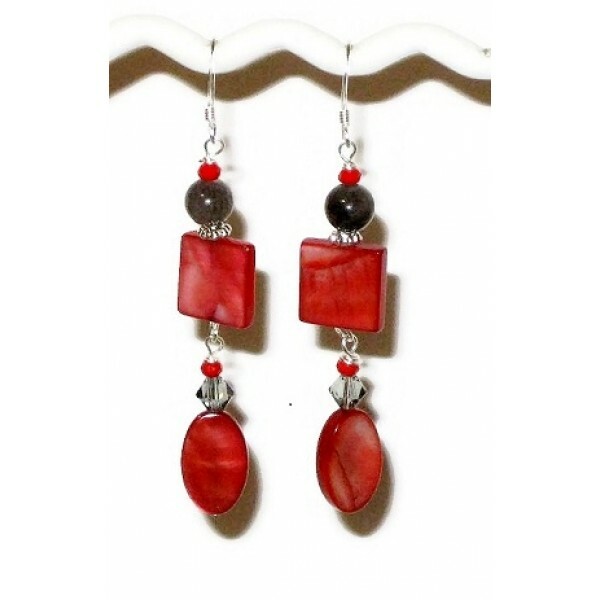 Give a nice touch to your outfit with these red and gray earrings. They consist of mother-of-pearl beads, botswana and crystals. They hang on silver-plated earwires, and the entire length of the earrings is 2 1/2 inches.